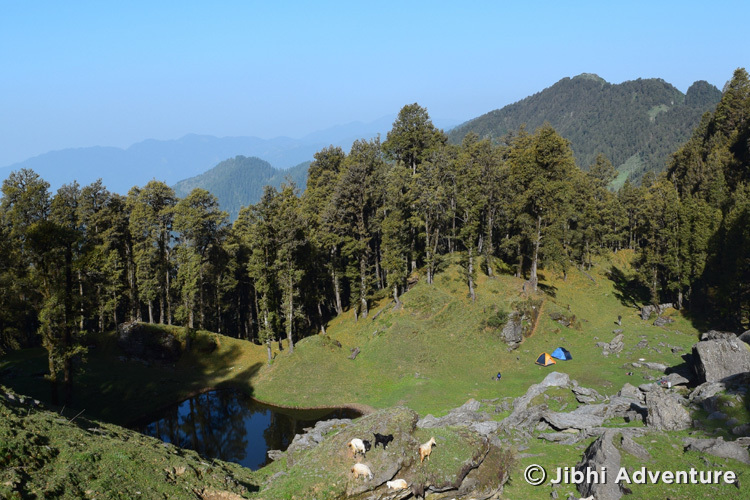 A deeper access to towards the core area of Great Himalayan National Park this trek offers a beautiful mountain panorama; An ideal place for nature lover to have their camping and trekking experience and spot lots of birds. The pleasant walk leads through thick pine and Deodar (cedar) forest to villages with panoramic views of the surrounding snow ranges. 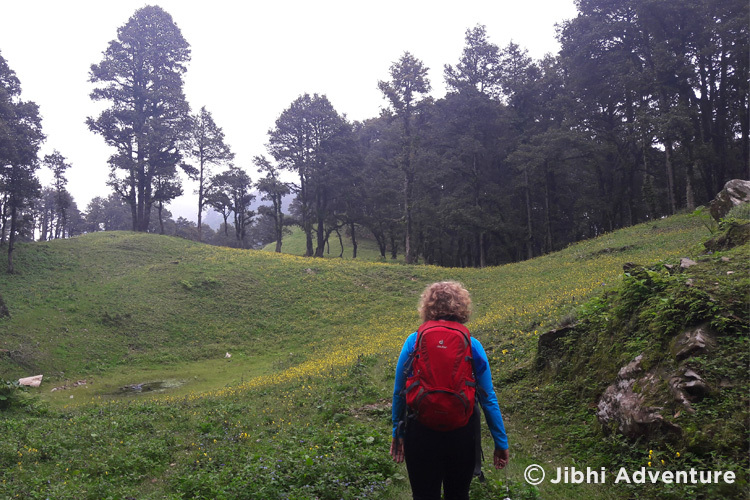 Walking along the ridge we will pass various Hindu temples, an ancient fort of a local king, and the holy Seraul Lake (2950m) round-trip covering a variety of landscapes. 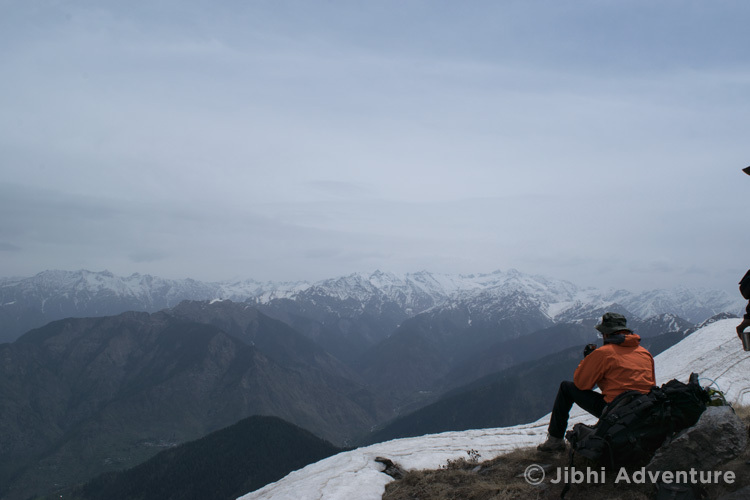 Starting from Jibhi 12 km by cabs till Jalori pass to Seraul Lake, For three days, the trek then continues along the ridge at an altitude between 3200mt and 3600mmt. We walk through open meadows and stands of Himalayan oak. Along the way, we pass ancient shrines of Hindu deities, and there are magnificent views of the surrounding hills and snowcapped peaks of the Great Himalayas. The trip also includes an excursion to a crystal mine where you can collect your personal mountain crystal. We will pick you up from Chandigarh and travel to Jibhi by taxi. The Journey is about 6-7 Hrs driving up in Shavalik hiils to lesser Himalaya, arrival at Jibhi, Stay at Jibhi. 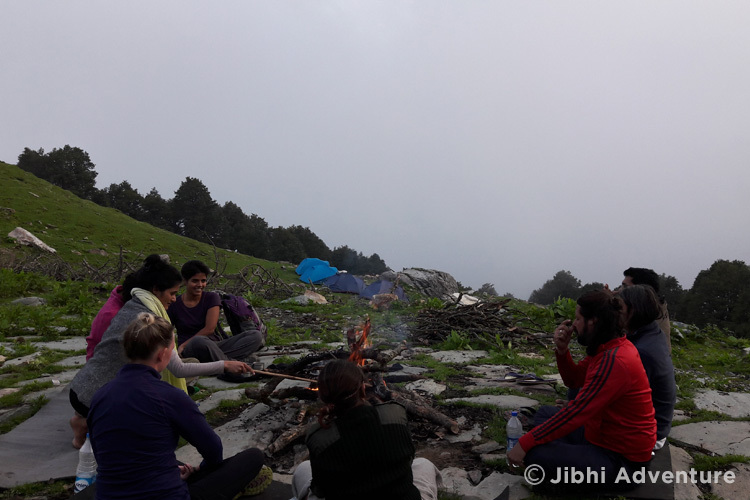 Breakfast and an easy walk to nearby water fall and acclimatization walks in and around Jibhi village.Bone fire, dinner and general briefing about the trek. After breakfast early morning start around 7:30am to Jalori pass By Jeeps, we will trek to an old fort Raghupur the view from the fort is breathtaking and continue to the camp at Serulsar lake camp. 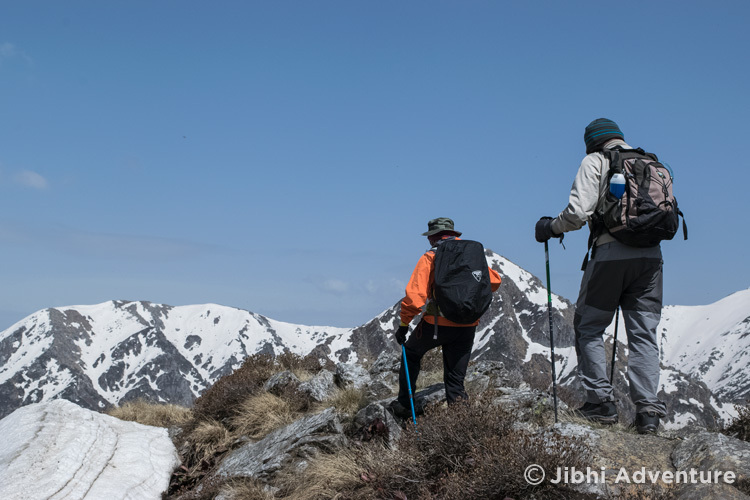 A gradual climb up to Notchi top and descending down to the base of Chara ( highest meadow of the trek beautiful view of the Bashleo pass and great Himalayan range, you can visit to the quartz Crystal mine. A decent through dense Oak forest will take us to the other side of the mountain. Camp at Gugal thach, the base of Chool mountain a beautiful campsite. 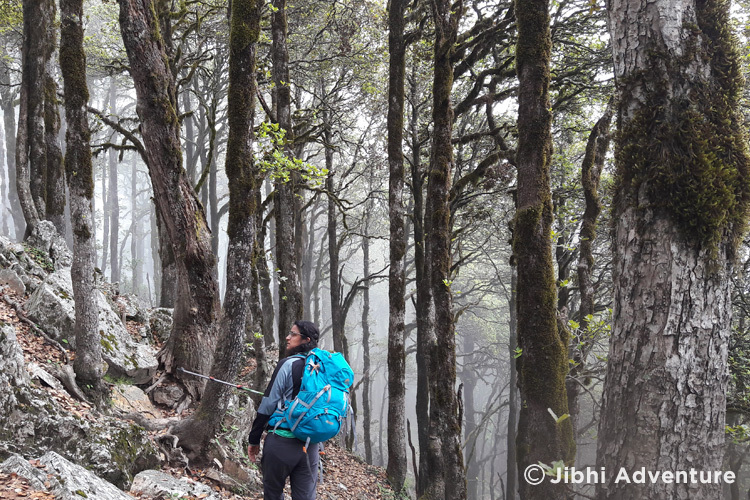 A descend and then ascend to the base camp of Bashleo pass through a beautiful Oak, Pine, cedar and Maple forest. Crossing the pass over in to Tirthan valley visiting the medical plant nursery on the way to the camp at Tilla pullh, fishing at Tirthan River. Overnight at Jibhi. 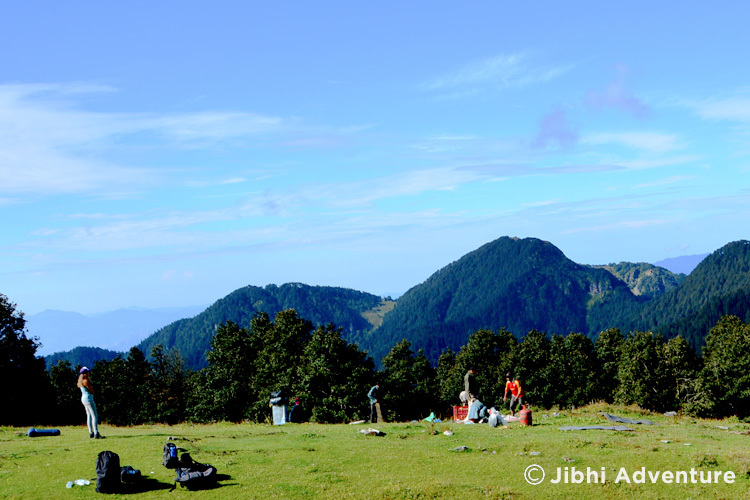 Camping gear, helpers, Porters, guide and three meals a day during the trek. Any alcoholic beverages, Mineral water.